If your faith life is an important part of your college decision, you may be wondering “do Christian colleges offer associate’s degrees?” among other other questions. Choosing a college that feels like a good fit for you is an important decision, so if you think a two-year degree might be a good educational path, it’s a practical question to be asking. 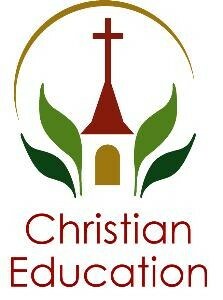 A Christian college or university is a school that takes Christian faith seriously. Usually the school was founded on a Christian vision of education, and continues to espouse Christian principles in and out of the classroom. Often the faculty at a Christian college or university must sign a faith statement, and generally Christian faculty try to bring faith issues into the classroom. Some sort of religious activity, such as chapel, may or may not be mandatory for students. Some Christian colleges are deeply connected to one particular Christian denomination, while others have a broader based Protestant or Catholic appeal. Student associations or extra-curricular activities may also have faith-based components. Those are some elements that set a Christian college apart from other non-faith based universities and colleges. However, respected and accredited Christian and non-Christian colleges share many things in common too, including a broad range of arts and science subjects in which you can major, and a full range of degree types, including associate’s, bachelor’s and master’s degrees. In that regard, a Christian college isn’t all that different from any other college you might be considering. An excellent resource of Christian colleges across North America can be found at the Council for Christian Colleges & Universities, which has 177 member and affiliate schools. When you search among these colleges, you’ll find a wide range of degree types and subjects that can help you as you plan for your education and your career. Why Get an Associate’s Degree? While many students attend a college to complete a four year degree, others decide to pursue an associate’s degree first or even primarily. An associate’s degree can be a solid choice if you are still exploring career options, or if you have more limited time and funds to invest before you need to move into the workforce. Some healthcare and business careers can definitely be started with only an associate’s degree. Do Christian colleges offer associate’s degrees? Many do. Of course, you will need to explore any college you’re interested in, Christian or otherwise, to see if they have associate’s level programs in the area in which you’re interested. Some will have specific associate’s degrees, like those in nursing. Still others might have general studies programs at the associate’s level that can give you time to consider what further studies you might want to pursue. Many Christian colleges, like their secular counterparts, now offer associate’s and other degrees via online platforms as well. Whatever you end up deciding, it’s important to take your time and research your options as you look ahead to college. Deciding what type of college you want to attend is one important decision, deciding the length and kind of degree is another. Now that you know a Christian college offers associate’s degrees, you’re just one step down the path to finding a school and an academic program that’s an excellent fit for you.